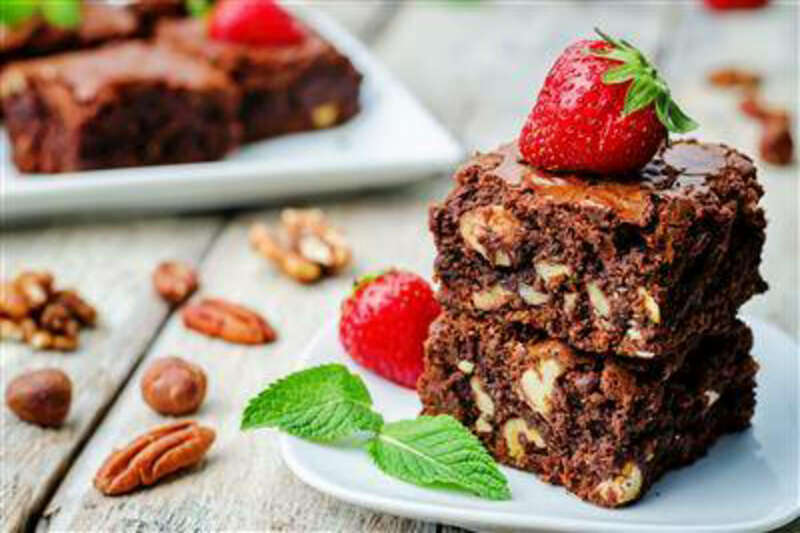 Take your taste buds to Nirvana with this bourbon-infused brownie recipe. The bourbon lends a complex, smoky flavor nuance, along with bacon, crunchy pecans, and decadent dark chocolate. These brownies are sweet, salty, and savory at once. They bake in less than an hour. You may never use another brownie recipe again! 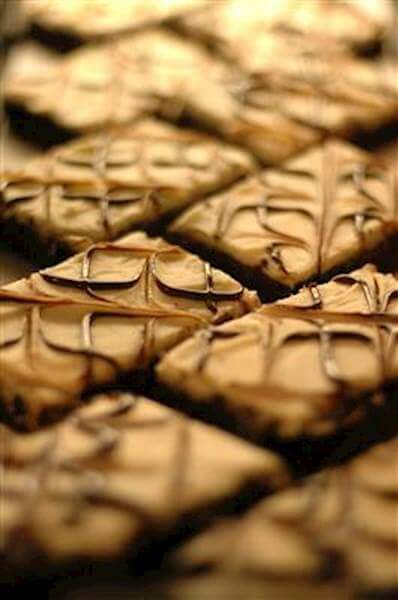 RecipeSavants.com Take your taste buds to Nirvana with this bourbon-infused brownie recipe. The bourbon lends a complex, smoky flavor nuance, along with bacon, crunchy pecans, and decadent dark chocolate. These brownies are sweet, salty, and savory at once. They bake in less than an hour. You may never use another brownie recipe again! Smart Recipes, American Recipes, Pork,Eggs,Dairy,Grains Recipes, Recipes Pork,Eggs,Dairy,Grains American Bacon-Bourbon Brownies With Pecans PT1H10M Serves 12 Ingredients: 0.5 Cup Pecans 0.5 Pound Bacon 0.5 Pound Bittersweet Chocolate Chunks 0.25 Cup Unsweetened Chocolate Chunks 0.75 Cup Unsalted Butter 1 Cup Granulated Sugar 0.5 Cup Packed Light Brown Sugar 3 Tablespoons Good Quality Bourbon 4 Large Eggs 1 Teaspoon Salt 0.25 Cup Unsweetened Cocoa Powder 1.5 Cups All-Purpose Flour Preheat the oven to 350 degrees. Line a 9x9-inch baking pan with a sheet of lightly greased parchment paper. Meanwhile, toast the pecans in the oven for 8 minutes, or until very fragrant. Coarsely chop and set aside. Brown the bacon in a cast-iron skillet over medium heat for 6 minutes. Drain and keep the 3 tablespoons of fat. Set aside diced bacon. In a saucepan, mix chocolates with butter and simmer on low heat until it melts. Set aside. In a large mixing bowl, beat both sugars with reserved bacon fat then add bourbon. Beat in eggs and salt until smooth and creamy. Stir in flour and cocoa powder and continue to mix until well incorporated. Transfer the batter into the greased pan and top it with pecans and bacon. Bake for 50 minutes in the preheated oven. 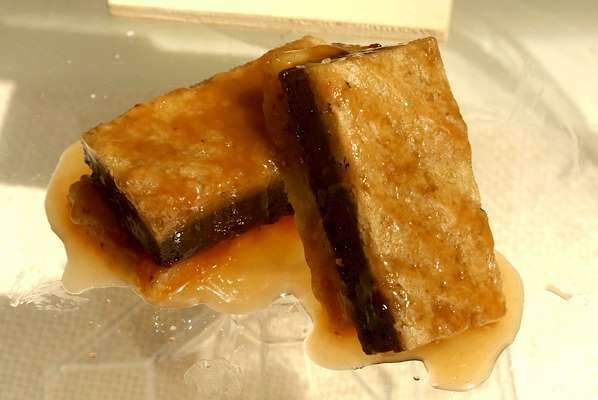 Once baked, cut it into squares and serve. If you enjoyed this easy bacon recipe, you'll love these fresh ideas! Butter, vanilla, and brown sugar provide the palate-pleasing flavor of butterscotch to these brownies. Feel free to add chopped nuts to the recipe for a little crunch. In less than 30 minutes, you will have warm, chewy butterscotch brownies that your whole family will want. Make a double batch for snacking the next day, or to give to friends! Standard chocolate brownies are spiked with a delicious chocolate caramel sauce. We use chopped bittersweet chocolate instead of chocolate chips. 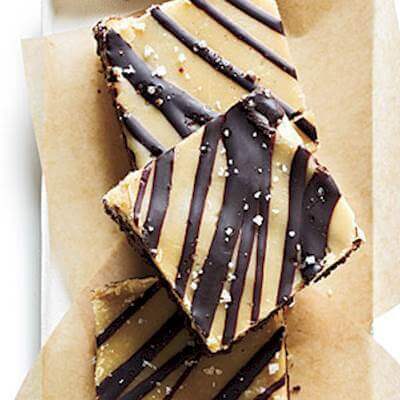 The sprinkling of sea salt oomphs the flavor of these delicious brownies.